anders – Welcome to Spinksville! 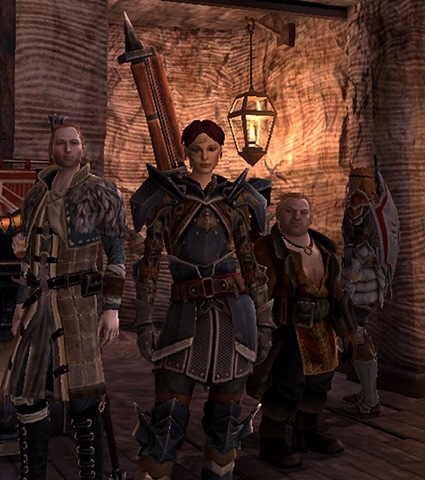 Hawke and companions in Act 2 – other companies please note how armour on women can look cool without showing lots of thigh. I am a big fan of Bioware games, I loved Dragon Age Origins despite its faults, and I’m enjoying the heck out of Dragon Age 2. I enjoy that it’s all set in the same city and that you WILL get to see how people, NPCs, and factions change and interact over time. Some of that will be connected to things you have done, and some won’t. We very rarely get this type of setup in games, it’s the holy grail of phasing in games like WoW, but single player games can do it better. 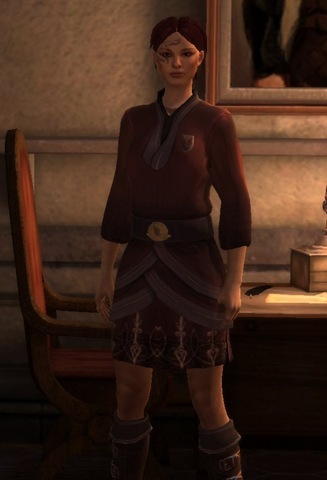 I like that in Act 1 I was an unknown noob in the city whereas by Act 2 I have an actual mansion in Hightown and some finery to wear (admittedly the finery looks like a school uniform but it’s not armour!) I’ve no idea what Act 3 may hold in store. It feels as though there is a simulationist element (e.g. 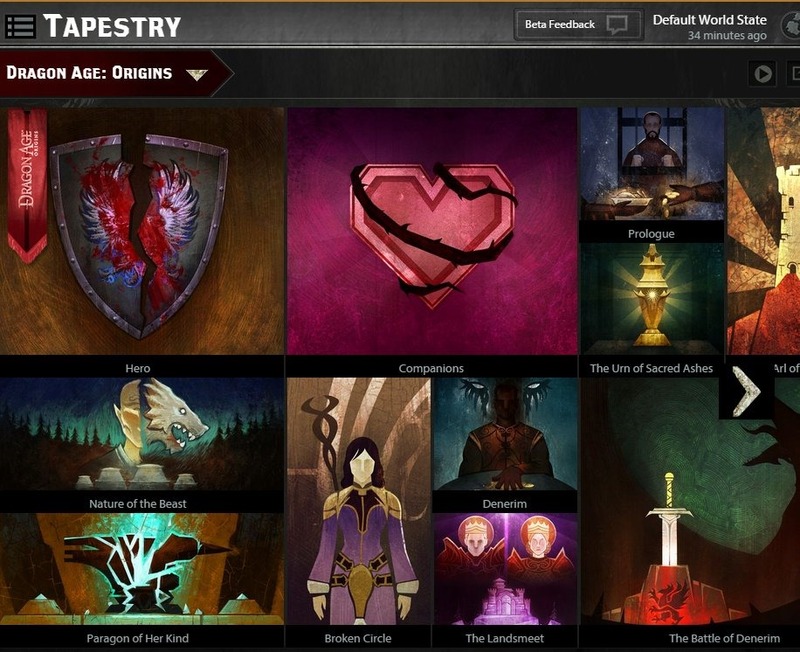 you could imagine a game where you have to build up your resources in addition to doing the quests) even though there really isn’t. I also enjoy seeing how actions I took in Act 1 are affecting people in Act 2. Some of this I think is fairly subtle but focussing in on one city does allow this type of storytelling. I’m enjoying the writing, and in particular the companions are great. I don’t LIKE them all, but I enjoy them all as characters. Aveline is a particular winner and a character type we don’t see all that often – she’s a straight edge city guard who tries to do the right thing but isn’t very good at out of the box thinking. The scene where you try to help her chat up a fellow guardsman is painfully hilarious. Her banter with Isabela is also awesome. Varric is also possibly the best written dwarf ever. 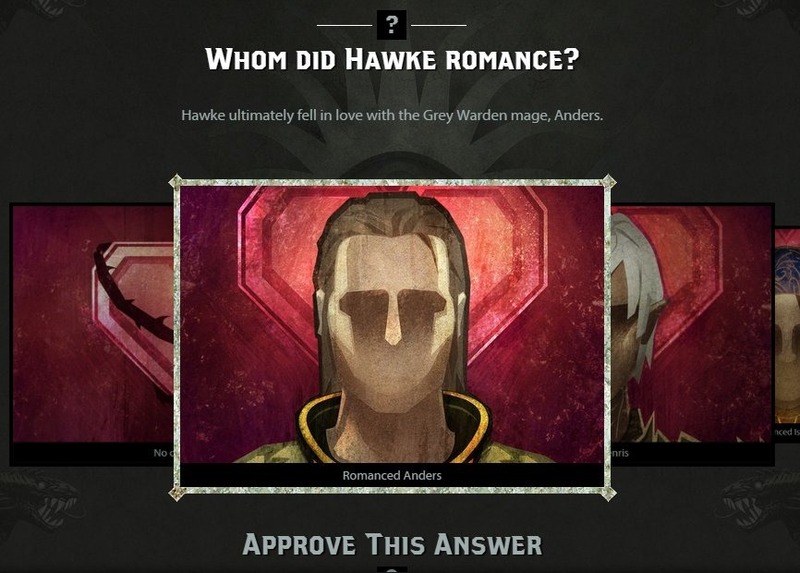 Does DA2 feel rushed? I’m not sure. Certainly there is a lot of resuse of areas, dungeons et al. However, it is supposed to all be set in the same city. I’d say possibly rushed but at the same time, what they were trying to do does work. Giving the character a family to use as plot points does work. There is a whiff of the ‘dependent NPC’ to it all, ie. getting extra character points for having dependent NPCs whose sole purpose is to get into trouble and need rescuing or provide fodder for NPC enemies, but I feel that giving a PC more background in terms of friends, family, and other history does provide for some good story hooks. One thing I’m not so sure about is what replayability willl be like. 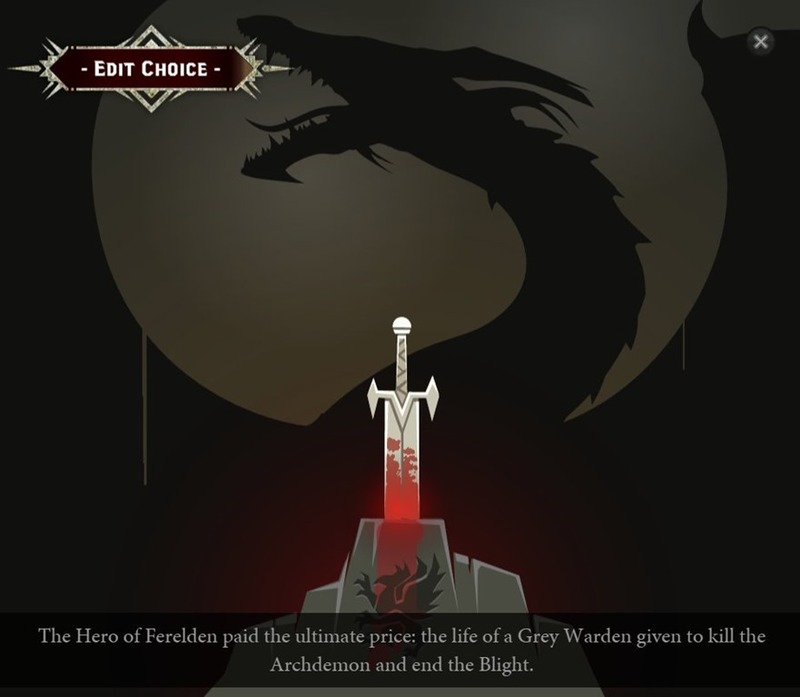 I feel as though I have been doing all of the available sidequests and I’m not sure how different it would really be on a second playthrough, even though playing as a mage might be quite interesting.